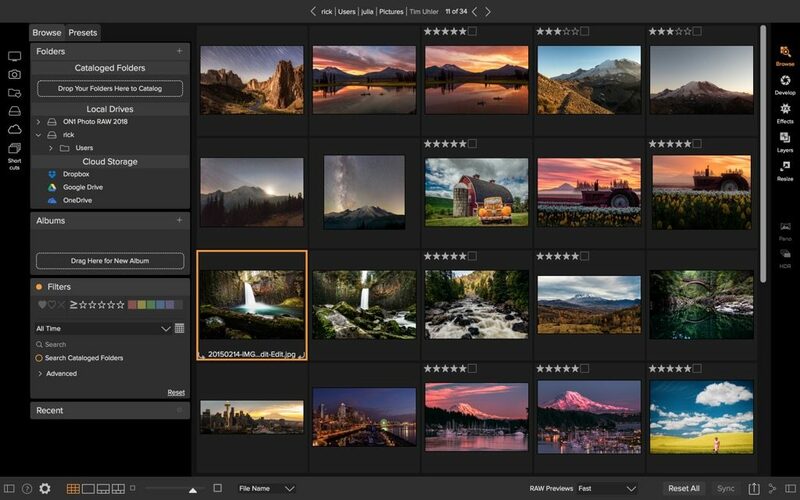 The newly released ON1 Photo RAW 2018 features a series of enhancements for photographers and other creatives, positioning itself as a Lightroom alternative. The updated editing software has evolved from a set of plug-ins into a powerful single nondestructive RAW image editor and organization tool. 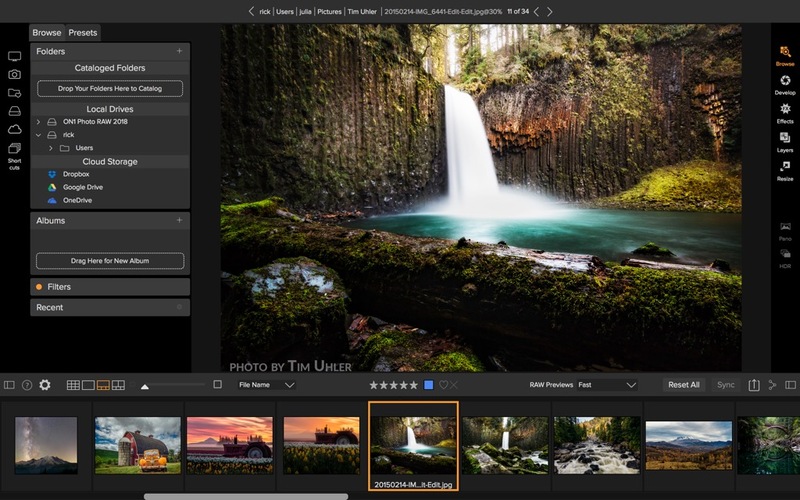 Based on feedback from those who participated in the ON1 Photo RAW Project, the app features a revamped RAW processing engine, faster photo management and a redesigned, cleaner user interface, where the focus is the photograph. A series of new and/or updated features includes an HDR tool, panoramic stitching and a variety of masking tools. Highlight recovery has been improved, noise can be added or removed selectively, plus there’s additional camera and lens support—the list includes the Nikon D850, the Olympus OM-D E-M10 Mark III and the Panasonic DMC-G85, as well as preliminary support for the just released Sony a7R III, plus a series of new lenses. And with the free ON1 Photo for Mobile, photographers can share portfolios, sync photos and more. Users new to ON1 Photo RAW 2018 can purchase the app for $119.99; current users can upgrade for $99.99. Activation for up to five computers is included. A free, 30-day trial is available on the ON1 website. Additional bonus material includes three ON1 Photo RAW 2018 courses from Product Director Dan Harlacher. Portland, OR – November 9, 2017 ­– Today, ON1, Inc. announced ON1 Photo RAW 2018 is officially available. Along with the essential tools and features needed in a photography workflow, ON1 Photo RAW 2018 includes key updates to the fast, non-destructive raw processing engine. 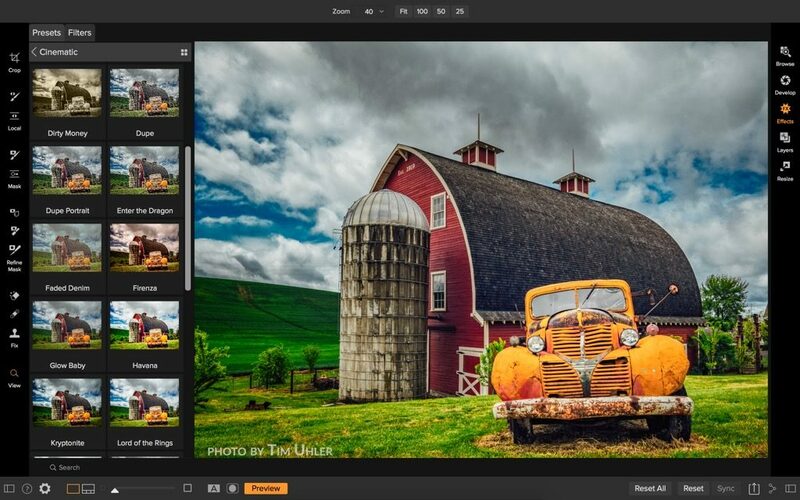 Photographers now have an integrated tool with accelerated photo management, precise photo development, hundreds of customizable photo effects, fast and beautiful HDR, pano stitching, masking and blending adjustments, layers, and much more – in one app.